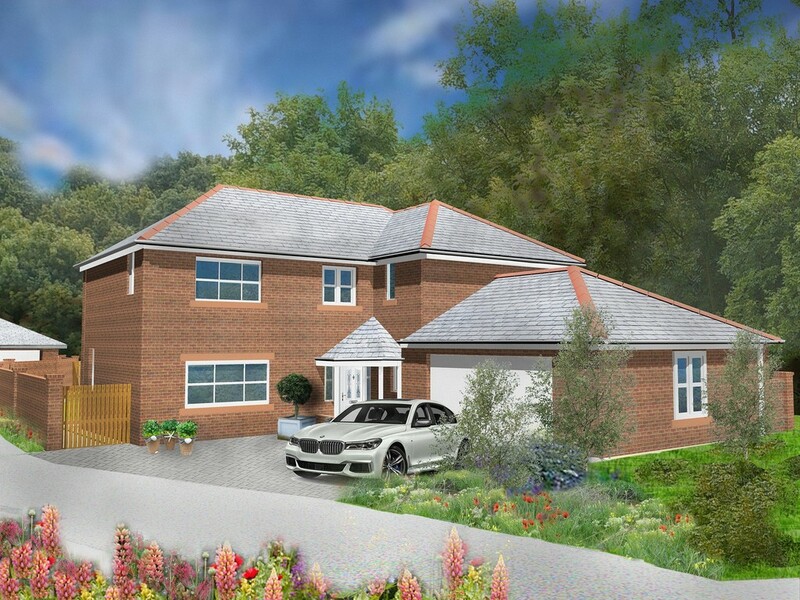 This Exclusive Development of just 3 Properties is Being built by Parry Griffiths Homes Ltd, Award Winning Local Builders. All properties will Benefit from Oil Fired Underfloor Heating to the Ground Floor and radiators to ter First Floor with the benefit of Double Glazing. The Accommodation Comprises: Entrance Hall with Cloaks/W.C, Living Room with Patio Doors, Dining Room, Study, Fitted Kitchen, Utility Room, Garden Room with Patio Doors and to the First Floor there are 4 Bedrooms, 2 with En-Suite Facilities and a Family Bathroom/W.C Double Garage, Parking and Gardens. CLOAKROOM: Fitted with a low level w.c wash basin, double glazed window to the front of the property. BEDROOM 1: 12' 7" x 11' 8" (3.854m x 3.574m) Walk in Storage, radiator, double glazed widow overlooking the front elevation. ENSUITE: Fitted with a bath, wash hand basin and low level w.c, radiator. BEDROOM 2: 11' 9" x 10' 5" (3.600m x 3.187m) Radiator, double glazed window overlooking the side elevation. ENSUITE: Fitted with a fully tiled shower cubicle, wash hand basin and low level w.c, radiator. BEDROOM 3: 12' 11" x 9' 10" (3.950m x 3.000m) Radiator, double glazed window overlooking the side elevation. BEDROOM 4: 12' 1" x 9' 10" (3.693m x 3.000m) Radiator, double glazed window overlooking the side elevation. BATHROOM: Fitted with a paneled batn, pedestal wash basin, low level w.c, radiator, double glazed window. GARAGE: 19' 0" x 18' 11" (5.800m x 5.790m) Double, with electric door.